In spring of 2017, I completed my master’s thesis entitled Beyond the Lab: Case Studies on Instilling Innovation in Nonprofit Arts Organizational Culture. The paper was inspired by some of the questions I had been pondering throughout my graduate studies pertaining to the intersection of strategic design and change management: What are the advantages of applying a creative, cross-disciplinary design lens to organizational and community challenges? How does an organization embed creativity or innovation so that it becomes a consistent, daily way of thinking and working? 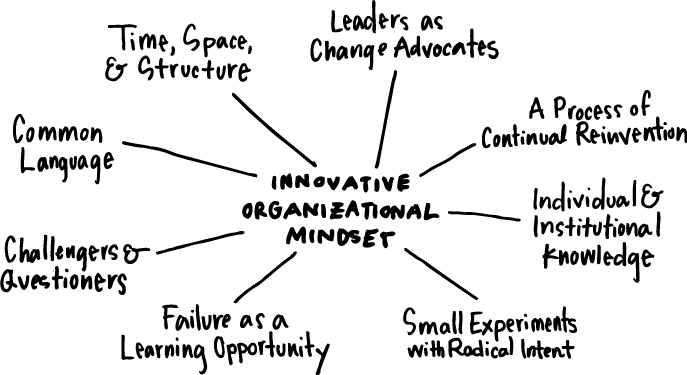 And, furthermore, at what point do innovation tools and methods move beyond a specific project to become an organizational mindset or way of working? In writing this thesis, my goal was to explore these questions further through the lens of three nonprofit arts organizations, all of which had completed EmcArts’ Innovation Lab. Below is summary of the paper, including case study findings and implications. The full paper is also available for download as a PDF (1.2MB). Over the course of the past several decades,there has been a growing interest in developing organizational capacity to address complex challenges. Since many of these new approaches are creative in nature, one might assume that nonprofit arts organizations are well positioned to adapt to this changing environment of complexity. However, there seems to be a dynamic tension between creativity in art-making and the seeming lack of creativity in arts management. With this paradox in mind, EmcArts, a nonprofit with roots in change management consulting, developed an innovation framework that builds on the tech start-up innovation lab model and draws on research in adaptive capacity, complexity, change management, and systems thinking. 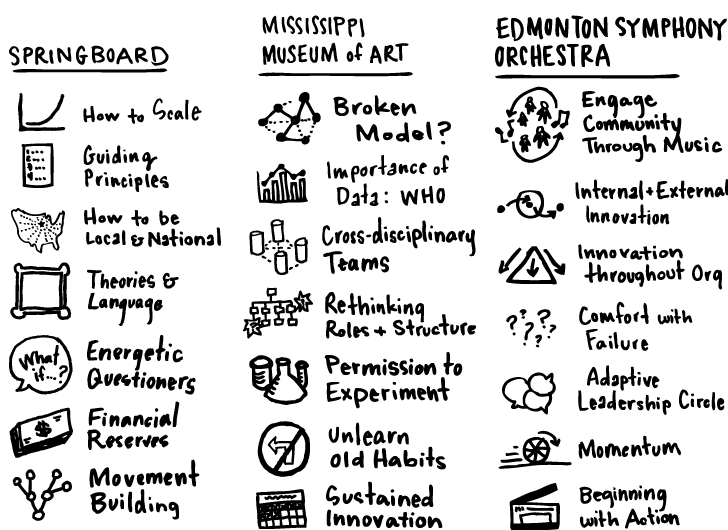 This paper highlights three organizations that have completed one of EmcArts’ Innovation Labs: Springboard for the Arts, the Mississippi Museum of Art, and Edmonton Symphony Orchestra and Winspear Centre. Using a case study methodology, it examines some of the motivations, applications, advantages, and challenges of implementing an innovation process within a nonprofit. It also explores how nonprofits can embed an innovative mindset and culture of adaptive change within their organizations. Original illustrations by the author. 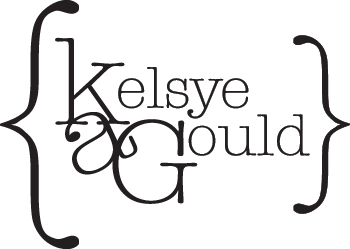 Copyright © 2017 by Kelsye A. Gould, All Rights Reserved. Special thanks: Professors Aida Rodriguez and Erica Kohl-Arenas; Melissa Dibble, Denise Shu Mei, Liz Dryer, and Louise Brooks at EmcArts; Laura Zabel; Erik Takeshita; Betsy Bradley; Julian Rankin; Meghan Unterschultz; and Alison Kenny-Gardhouse.